Free Wi-Fi connectivity has been provided to visitors to Camden Market in London, while also delivering real-time location data on users to CamdenMarket.com – the company that looks after retailers in the area. Users can access the free Wi-Fi service 24 hours a day, which in return provides the business with user data from the network. CamdenMarket.com is able to see the location of users, with real-time movements and additional information such as gender, if provided by shoppers. The data analytics will allow the business to understand the popular areas in London’s famous market, and encourage shoppers to visit areas they might not have found. If users provide more information about themselves, the technology could – in the future – allow CamdenMarket.com to advertise through personalised display ads as a shopper walks by. Camden Market spreads across a considerable area of Camden Town in North London, and also incorporates the high street, as well as the Stables Market and Camden Lock Market. Jac Timms, IT director at CamdenMarket.com, said by using the technology, the organisation has been able to find out how many people come out of Camden Town tube station and head to the market. Timms explained he isn’t sure how the organisation will encourage people to move around the area yet. “First of all we need the data,” he said. Additional benefits include seeing footfall through the market to find out what retail spaces are more valuable than others, and providing starting points for the business to think about improving customer experience. 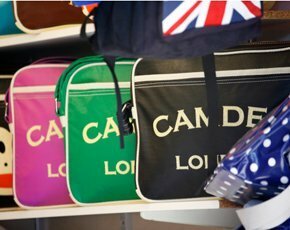 For the time being, CamdenMarket.com will hold the data insight, not individual retailers in the area. Timms said the project has been in place for between three and four weeks and Camden currently has 20 access points, with plans to add a further 30 in the next few weeks. CamdenMarket.com is working with Cisco Meraki and cloud-based software company Purple WiFi to provide indoor and outdoor access points, as well as the scalable cloud software to run the free service. The package provides a tailored portal; user registration and authentication; content filtering; legal compliance; anonymous and aggregated location metrics; user statistics; presence reports; social Wi-Fi access; and Wi-Fi marketing opportunities.